Brock CareerZone Blog: Smart Start 2015! Looking back and reflecting on my first year here at Brock University, the first word that comes to my mind is "chaotic". I had a hard time navigating my way around campus, had little knowledge of the resources available to me, and did not get involved in any on-campus activities. Now I am in my third year at Brock and I am not only an extremely active member on campus, but I am also well versed on all that Brock has to offer me as a student! But instead of being like myself in first year, why not start university on the right foot? Luckily, there is a way for new Brock students to start university with an arsenal of knowledge on how to become an active member of the Brock community! Smart Start is a program implemented by Brock University to help make the transition to university seamless for first year and mature students. 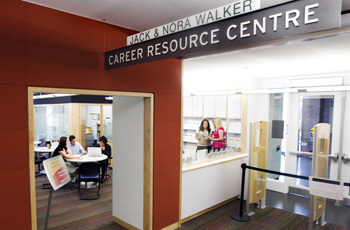 Aside from getting the grand tour of Brock facilities and faculties, new students will also get the opportunity to visit the Career Resource Centre and our expo table to begin thinking about career options and exploring different degrees and skills, and to find out about all the great involvement opportunities that Brock has to offer, like the Mentorship Plus Program! Whether it be tips or advice on getting an on-campus job or exploring the different career options based on faculty and program, we at Career Services are all about providing the resources students need so they can reach their career goals and their fullest potential during their time here at Brock. In order to keep up with all that we have going on at Career Services, my best advice for incoming students is to follow us on social media. Upcoming events, new resources, professional development, employment opportunities, as well as tips and tricks on everything from interviews to social media for job searching are posted regularly on our Facebook and Twitter pages! Click HERE for our Twitter page and HERE for our Facebook page and get in the loop today! See you at Smart Start!